Pretty much everybody is talking about the all-new Toyota C-HR, which promises substantial upgrades in all the key areas, from power and performance to technology, safety, and design. People have been asking us when the new Toyota C-HR will be released, and we have great news — it’s now available at our dealership! We’ll provide you with more info below, so read on before you stop by our dealership to talk to our friendly staff about the new C-HR at Findlay Toyota! Engine Power – First of all, the C-HR will be powered by a 2.0L 4-Cylinder DOHC 16-Valve engine with Dual Variable Valve Timing with intelligence that churns out 144 hp and 138 lb-ft of torque, and it also gives you some decent efficiency levels. Tech – With its 4.2-inch TFT Multi Information Display screen, the C-HR allows you to operate a number of the car’s functions using just your finger, plus you can enjoy a 6-speaker sound system that provides access to AM/FM radio and AHA audio internet radio with POI search powers. Interior Design – Inside, the C-HR gives you room for five passengers, as well as 103.1 cubic meters of space behind the front seats and superb touches like Piano Black Instrument Panel Trim Accents and leather-wrapped shift knobs. Safety – Likewise, the C-HR is outfitted with Toyota Safety Sense. This suite of technology features everything from a Pre-Collision System with Pedestrian detect, which enables the car to detect foreign objects pedestrians in your way and alert you to their presence, to Auto High Beams, Cruise Control, and Lane Departure Warning. 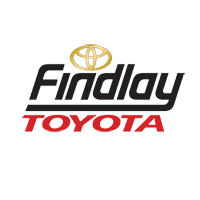 Simply stop by our Findlay Toyota dealership yourself in order to get your remaining questions answered by our staff. Contact us using this online form, and check out financing options here. Then, we’ll get back in touch with you ASAP in order to bring you in to talk about the 2018 Toyota C-HR. So don’t delay — learn what is in store for you at Findlay Toyota today!